Action figures; toys; dolls; collectibles; Whatever you want to call them, these meticulously crafted hunks of plastic have become a staple in any true nerds collection. I’ve been collecting toys, mainly “action figures”, for almost my entire life. I’ve had everything from Star Wars and BattleStar Galactica (Original BSG now, from the late 70’s) when I was a baby, to the Marvel U.’s 16 inch Sentinel that came out last year. Most of the stuff from my childhood got lost through moving from one place to another, incinerated in some exciting way, or passed off to my younger brother, but, I have managed to hold onto a few pieces that have always been near and dear to my heart. Over the years, one of the things that I’ve realized is that the world of toy collecting can be horribly daunting and overwhelming to the average noob, so, I’ve decided to piece together a list of five things that may be helpful for someone wanting to get into the toy collecting game. In the interest time, I would like to focus mainly on action figures. Figures are usually released in Series or Waves. These groups can consist of any number of figures, typically ranging between 5 and 15. Waves of figures may or may not include a vehicle or other type of “play-set”. On the package of each figure, you will usually be able to find the Series Number or Name along with that particular figures’ number. 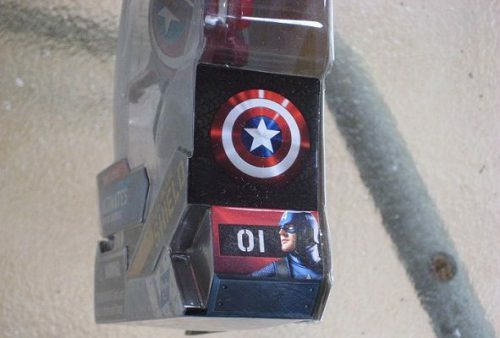 Here are a couple of pictures showing the series number and the toys unique number within the series. The right hand side of the package shows that it is number ’01’ in it’s series. This is a Black Knight figure from Hasbro’s Marvel Legends line. This piece is part of the ‘Queen Brood’ Series. The red pie piece in the top right hand corner shows that this is figure No. 4 within the series. In this case, this info appears on the front of this package. It can sometimes be a little difficult to find a complete list of characters that make up an entire series. If you are lucky, the back of the package will show you a picture of all the characters. Sometimes, there will be an insert inside the package that shows you a checklist for the whole series, but, in order to get to it, you MUST open the package. Whether or not to open the package is a topic all its own that I will address another day. I will say that I do not open 99% of the toys that I buy. Unfortunately and quite often, you will need to rely on other sources to get a comprehensive list. There are several places on the interwebs that you can find information regarding the roster of a certain series. A few sites that I look at are collector-actionfigures.com, midtowncomics.com, and bigbadtoystore.com. Collector-ActionFigures (the ‘Dash’ as they like to refer to themselves) is one of the most complete action figure sites that I have found. They have a toy database and offer users categorizing and database tools similar to StashMyComics. 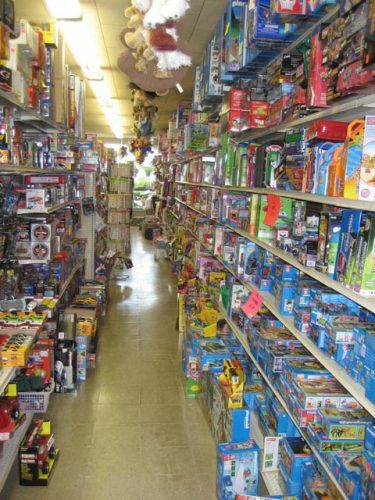 MidtownComics and BigBadToyStore are just retail sites but they both have great inventory and frequently have good sales (I am NOT affiliated with any of these sites in any way). You can also go directly to the manufacturers’ website to get information on different series. Hasbro, Mattel, McFarlane, and Diamond Select, just to name a few, all have decent web pages. To encourage you to buy the whole series, some companies will include one piece of a bigger toy in each pack of the set. This ploy makes it impossible to obtain the bigger toy unless you buy the entire series. When this happens, the series name is usually the same as the character that you piece together by obtaining the whole run. Marvel Legends has been doing this for years. 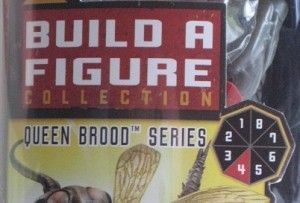 For example, the Black Knight packaging that I showed you earlier includes the right side legs of Queen Brood, hence the Queen Brood Series. Other Marvel Legends series that have done this include pieces of Mojo, Fing-Fang-Foom, and the Blob. 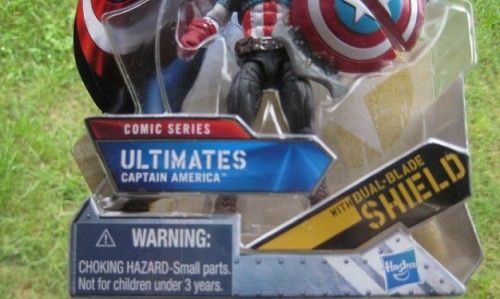 Another marketing ploy that toy companies have been doing for years is the one where they offer an exclusive figure in exchange for ‘x’ number of UPC symbols from the packages of other figures. This trick was done as far back as the late 70’s with original Star Wars figures to as recent as last year when the Marvel Universe offered an exclusive Nick Fury figure by mailing in five or six Top Secret Fury Files from inside the packages of the other characters. 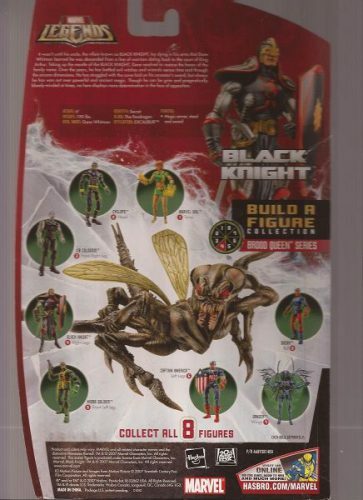 This is the back of the Legends’ Black Knight packaging. This particular package lists the entire series roster for you! New toys, like comics, are typically released on Wednesdays. This doesn’t necessarily mean that your local department store will have the new hotness stocked and on shelves by Wednesday afternoon, but the stuff should be arriving within a few days, depending on their shipping schedule. A decent comic and collectible shop should be able to have the new stuff out on release date, but there again, they have shipping arrangements as well. It’s a good idea to get familiar with the times and dates that a few of your local stores get their trucks in. The early bird definitely gets the worm when it comes to the hottest items freshly placed on a store shelf. There are thousands of other people out there that are after the exact same item as you are and if you don’t get there soon, you are gonna miss out. If you do find yourself at the local S-Mart looking for a particular item, make sure that you look all the way in the back of each row of hanging figure cards or stacked boxes. It is a well-known and widely used trick by collectors everywhere to stash the best stuff all the way in the back, to hide it away until they have enough money to come back and buy it. Check everywhere around the particular section that you are looking in. It is not uncommon to for someone to hide a GI Joe figure on the bottom row, in the very back of a row of Transformers. Because, who would ever think of looking there, right? So, if you are a fan of pop culture and think that toy collecting may be for you, run down to your local comic shop and take a look at what they have. Even if it was a minutely popular movie, show, comic book or video game, chances are pretty good that someone has recreated them in action figure form. Don’t be afraid to ask one of the employees a question or two about their inventory, they are usually willing to help and can tell you more in five minutes than you could learn in two hours on Google. Don’t be overwhelmed, stick to subjects you are familiar with and focus on the stuff that YOU enjoy. Happy hunting! Written by StashMyComics.com contributor Jason Siverling.